WHEN: Thursday, April 12, 3 p.m. Please join us for an in-depth talk with Terukazu Tanaka (translated by Louise Cort, Curator for Ceramics at the Smithsonian's Freer Gallery of Art and Arthur M. Sackler Gallery) on Japanese metalwork designs. 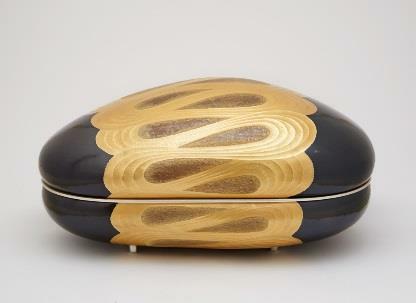 Tanaka is known for his mastery of fusing gold, silver, and copper alloys in his signature forms and luminous surfaces. He will discuss his metalworking techniques and Frances Klapthor, BMA Associate Curator of Asian Art, will provide historical context on Japanese metal artistry as seen in a selection of sword guards (tsuba) and small knives (kogatana) in the BMA collection.